The evenings here in Brooklyn have been crisp and breezy; a reminder that fall is just around the corner. 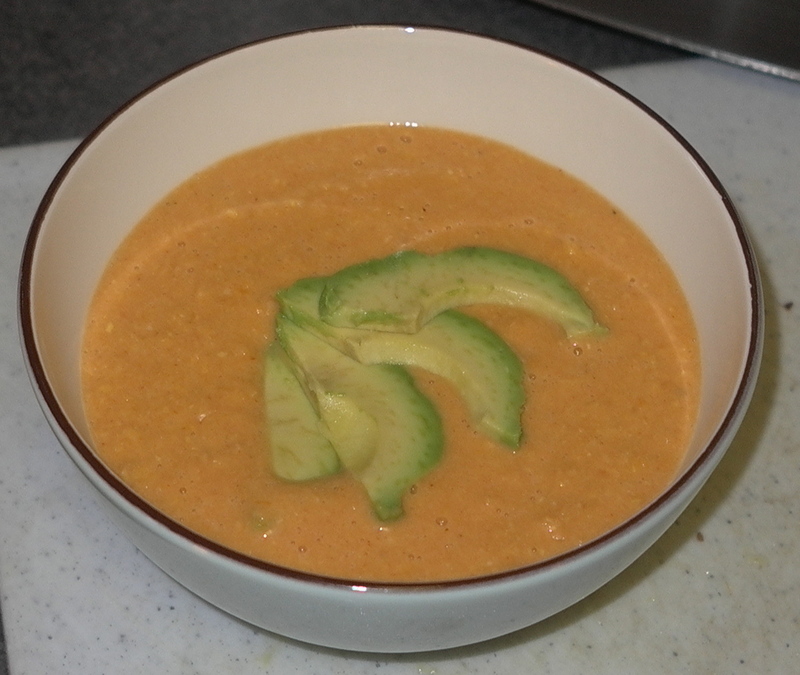 This soup is perfect for these last weeks of summer because you can enjoy it hot or cold. It is delicious served with a crisp tortilla layered high with sauteed eggplant, tomato and goat cheese. Thanks to Jack Bishop, author of A Year in the Vegetarian Kitchen for this and so many other tasty recipes, including the crisp tortilla one I just mentioned. Heat 2 tablespoons of the oil in a Dutch oven over medium-high heat until shimmering. 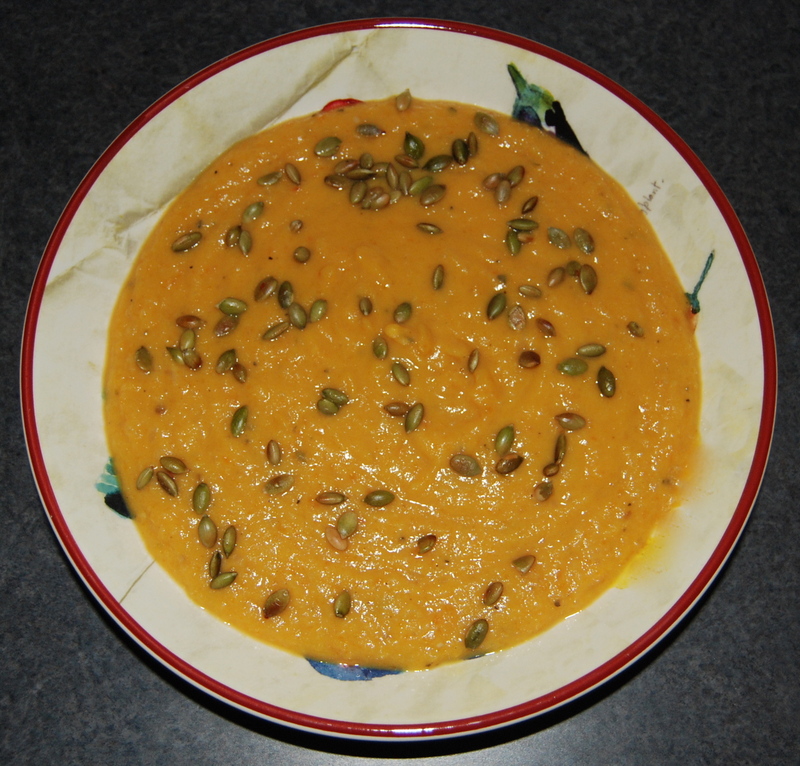 Add the squash and onion and cook, stirring occasionally, until golden brown, 8-10 minutes. Stir in the ginger, garlic, and curry powder and cook until just fragrant, about 1 minute. Add the broth, potato, and salt to taste and bring to a boil. Reduce the heat to medium-low and simmer until the potato is very tender, about 25 minutes. Puree the soup in batches in a blender (or use an immersion blender) until very smooth. Adjust the seasonings. Transfer the soup to an airtight container, cover, and refrigerate until well chilled, at least several hours (unless you want to have the soup hot!). The soup can be refrigerated for several days. 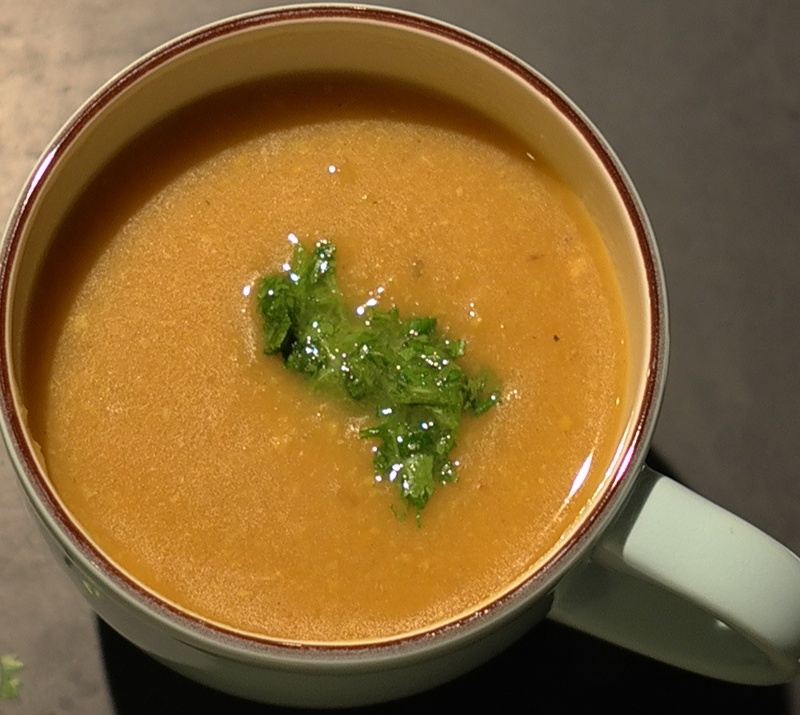 When you are ready to serve the soup, puree the cilantro, lime juice, and remaining 3 tablespoons oil in a blender until smooth. Add salt to taste. 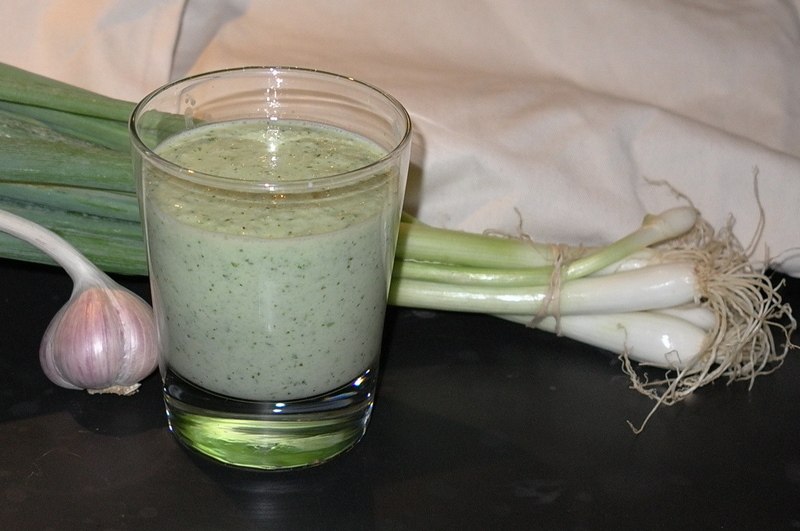 Taste the chilled soup and adjust the seasonings, adding salt as needed. Ladle the soup into small bowls. Drizzle some cilantro puree over each bowl and serve.